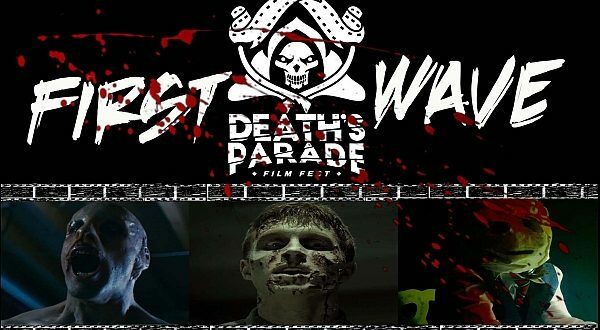 DAVE GAMMON: It’s with great intrigue and anticipation in welcoming my guests at this time co-creators of the film Dead Before Dawn 3D Tim Doiron and April Mullen. What are your impressions on the wildly popular zombie phenomenon? 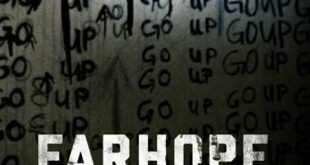 Is it here to stay or is it a passing trend in contemporary horror? 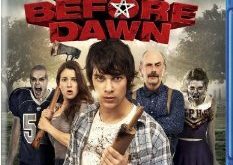 TIM DOIRON; You know what’s funny is when April and I were conceptualizing Dead Before Dawn 3D zombies weren’t like…well I mean zombies are always kind of in the subconscious happening…but zombies weren’t that big in stuff coming out. So it’s really interesting that we’ve gotten to this point to see all the zombie stuff coming out. I don’t know I’ve always felt that zombies were here to stay even more than the vampire stuff that kind of happened and then sort of faded out. Something about zombies just sort of sticks. I don’t know why or I don’t know how popular it will continue to be but I mean it may sort of hit a peak and then sort of die again but I don’t think it’s really going anywhere anytime soon. DG: It does stick well and I quite agree. I like how you compared it to the vampire genre as well. I do feel it is here to stay definitely. Dead Before Dawn is a fresh perspective on a popular horror theme of college kids unleashing an evil curse spawning Zemons unto society. Now describe what Zemons are and what makes them such a crucial formidable component to this film. TD: (laughs) Zemons are a zombie/demon hybrid. So when the kids unleash this curse, all the college kids, they release this hybrid onto the world. So you’ve got to think you’ve got zombies these undead creatures coming at you, they’re like this flesh that continues to come they’re a force of trauma, non-stop coming at you. With the demon aspect they have a couple different qualities they can bring to the table. Like we have….they can be a bit more manipulative, they can run. Not all zombies can run. They can use firearms or they could drive a car, you know what I mean? They have the ability to track you. They can think a bit more for themselves. And they always or have a recognition or a hint of who they were when they were a person. That can come into play as well. So it’s just sort of fun twist and untwist of the genre. DG: So it’s kind of like zombies with a cognitive process. TD: Yeah, yeah a little bit. DG: This is kind of a two part question. Fans may not realize of course Tim you’d written the script..
DG:….and produced this project while April had directed. At the same time each of you had roles in the picture as Seth Munday and Becky Fords respectively. What were some of the obstacles and challenges multi-tasking while on set? TD: That is a good question. I’ll give you my personal thoughts first. When you’re producing the film and of course writing and directing you are going to face certain challenges and usually it’s simply a matter of there isn’t enough time in the day to get done what you have to get done. You have to be very good at least we found so far from our careers is you have to be really good at focusing on what the most important thing is. I’ll so you can’t be married or at least you have to be prepared for things in pre-production or be married into an idea or closed off to an idea that when you get into a certain situation where things just aren’t going to work or time does not allot for you get what you need to get. How to improvise in the moment is something that has really helped for us. You have to be able to work on the fly well and make technical decisions that need to be made. That has been the key for us to make every side of the coin work. DG: I imagine flexability is a key component too. TD: Definitely, definitely being flexible is the key. APRIL MULLEN: The good news is, is when you’re producing a project from pen to concept we have a very strong vision. While being involved in the writing process we were talking about shots and locations. It may have been a year before even getting a green light. The fact that we’re able to work so closely is the short hand and division of the film is all done very tightly and can move a lot faster I think into production. Even things like costume and character and the inside and the out and the past and the present of where the characters are going; all of those things are so ingrained in both of us we can move very quickly once we get a green light to shoot the film. In a lot of regards it’s a lot easier especially in the planning and being on the same page creatively. We can move really quickly. We’ve worked with the same editor on our last two films as this current film so that’s the short hand that makes the team move really quickly. It really helps. On the flip side, being a director and also being an actor is always a challenge. But it’s so fortunate to be able to speak to actors and have such a strong background in acting. It’s just incredible to be able to have that communication. With a lifelong training in the acting world that really helps as well. Directing comes really easily and naturally on set. I’m involved with them so heavily in rehearsals and stuff. It’s funny sometimes in the middle of the scene even though we’re rolling I’ll find something; maybe the timing is a little off. I’ll stop and say can we start that right from the top? Sometimes it saves time and we can just reset while continuing the shot. It’s very cool because we can just….being in the digital age we can check the playback which a god send. We can just watch the shot and we can do the scene while I just run to the monitor and make sure that everything works as planned or as hoped. Thank God for digital playback or that would be a lot more difficult. We also have our editor on set just to sort of keep an eye on tight time lines. I can’t always necessarily be watching the playback monitor. We have to move really quickly especially when it’s a 3D shoot. That helps as well. DG: Dead Before Dawn boasts the first ever one hundred percent Canadian feature film shot in stereoscopic 3D. 3D films made their emergence unto audiences in the early eighties yet never really caught on. 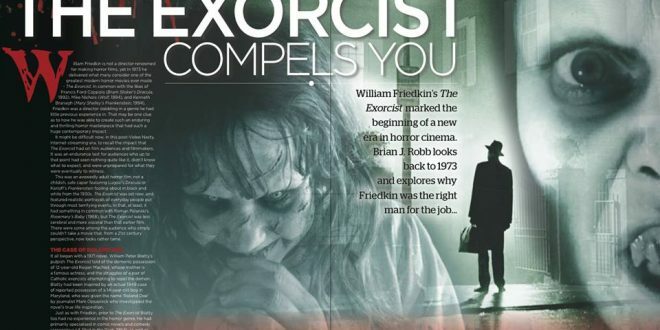 Now it seems to be the technique of choice especially in the horror genre. At screenings and film festivals what has been the over all impression of experiencing the film on another level? AM: 3D has really made leaps and bounds like you’d said from where it was to where it is today. The fact that we were able to shoot an independent, free from the studios would not be possible even three years ago. We were able to shoot on two red-one cameras. It was affordable, with a quasar rig, which was also affordable. So since 3D technology has grown so much and can be acquired for a relatively great price we’re able to be more creative with it. Even with a modest budget we were able to create a very unique, different look. It wasn’t like Transformers or huge 3D CGI shots. It was more like we have this really cool shot of a 3D bubble when someone is talking on the phone. So say Christopher Lloyd is on the phone and the bubble is in a negative space. And then the bubble itself is in 3D. There are little, unique quirks in this film that have never been done in 3D before. We were being very creative with our choices because of the ability to be free and creative in this 3D world. A lot of things have never been tried before. So why not try them? Here’s the time. I think you’ll see a lot more 3D independent films. The reaction has been really solid. The 3D that we chose is really submersive so nothing’s really gimmicky popping out at you. It’s very submersive. It’s more like Hugo and Martin Scorcese’s vision. You get to explore and look more within the frame rather than things coming out at you. Audiences have been coming up and saying things like, ‘you know usually 3D really drives me crazy or gives me headaches or it bothers me.’ The 3D we chose to go for is much more comfortable and you get to sit back as an audience member and get to unravel and explore the frame rather than it coming out right at you. I think that’s a really different look in the 3D world. It’s been great. People are happily surprised. Because of the 3D aspect in the film people were thinking oh because it’s a comedy things were going to be really in your face and blood everywhere. It’s really classy 3D (laughs). Nothings coming out at the audience so people were a little surprised by that, they also really love it. DG: April, it’s been well documented you’re a native of Niagara Falls. What was the decision to shoot in such locations as St. Catharines, Port Colbourne and Niagara? Will fans recognize the locale? AM: Fans will definitely recognize a lot of the locations in Niagara, Port Colbourne and St. Catharines. To me, our last two films were shot in Niagara too. Niagara has a really unique feel to it. It has a really different look. We wanted to have a world that was sort of stand-alone because the curse and the whole magic element of the film. To find those locations you really have to go outside of a major city centre. When we were looking for the antique shop we wanted something really unique that had somewhat of an underbelly or seedy feel to it. Same with the cemetery, we wanted a really old, unique looking cemetery. We were able to find those in Port Colbourne. You’ll see in the trailer there is this blue antique building which is like this gorgeous, bright blue. For us, color and vibrancy is crucial. We were really looking for that. Niagara has this really unique spectrum of all those things color, vibrancy, architecture, you can find a lot of older buildings and cemeteries. We’re also right up the road so we can do locations scouts anytime we want which really helps. DG: Absolutely I find the architecture breath taking and I’m often heartbroken over how many of these buildings have been simply abandoned on Queen Street and stuff like that too. AM: Me too! Gravy Train was shot on entirely on Queen Street and around it. A lot of the buildings that we had shot in are no longer. It’s a very sad thing because for film what you look for is very unique brick structure and stuff. All of those little details that’s what inspires directors and writers to use the space. DG: I live just around the corner from there. I see quite a bit of it. AM: Oh great (laughs). It also helps being born and raised in Niagara. It really helps in situations like we had to use a football field and a high school. To be able to go back to my high school and ask if they could help out; it’s the personal relationships and the interpersonal touch, the community that is there to help you I can just say thank God for them. A lot of things that we were trying to achieve with Dead Before Dawn would never have been possible. Because of the personal relationships, friends and community support those things were able to come to life on the big screen. We’re forever grateful for so many things the Niagara community have given to us. DG: That is very cool to have that kind of support, absolutely. While writing the script Tim did you envision some of the actors playing their respective roles such as Christopher Lloyd playing Horus Galloway? TD: Yes, indeed. Actually the role of Horus Galloway was written specifically with Christopher Lloyd in mind. He’s been someone I’ve looked up to since I was a kid. DG: ….Back to the Future, sure, yeah. TD: One of my favorite movies of all time. Just everything he does. I find he brings a real magical element in everything he does and movie he’s in. He’s also very grounded as well. He can go so big yet make it so real. 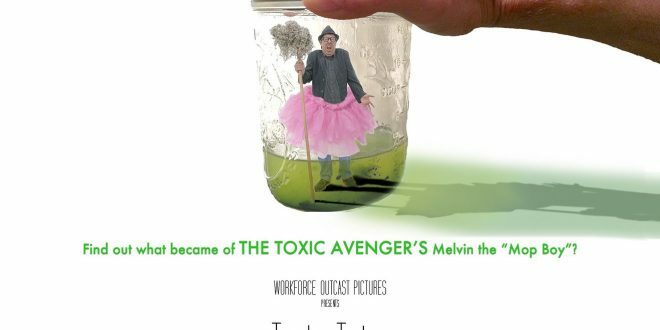 We needed someone for that role in particular. It’s sort of a magical movie. It has an adventure element to it. He has to ground this curse element in a sort of an all around occult feel. His character is responsible for that. We wrote it with him in mind. When we finally got him on board we couldn’t have been happier. Working with him was an absolute dream. 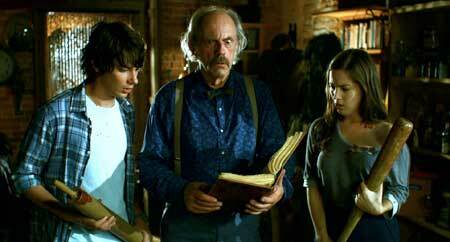 He was everything you could have hoped Christopher Lloyd would be. He’s a gentleman. He’s amazing and he brought so much to the film. It would not have been the same without him. 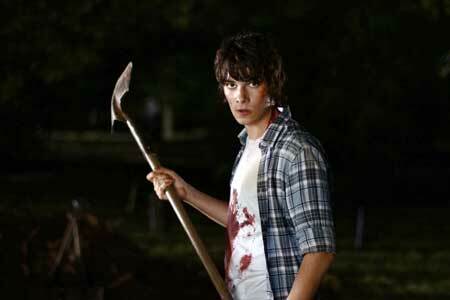 Also Devon Bostick, the lead he was someone we always had our eyes on. He’s a fantastic actor. It’s a fine balance. The main role of Casper Galloway is a fine balance as well. It has elements of sort of a scaredy cat kid and the under dog hero type of thing. At the same time it’s a funny role. Here you have a character, the leading man role but it has this sort of underdog hero kind of thing. Not many actors could really pull it off. Devon just nailed it. DG: I think it’s a testament too in appealing to a larger audience in getting them to empathize with the character too right? DG: You’ve attended conventions such as the Macabrecon this past June here in Niagara and the recent FanExpo in Toronto. What has been some of your most memorable fan encounters? TD: (laughs) There’s been a lot! I mean there’s a wide array, that’s a pretty loaded question. Number one April and I just love meeting people at conventions. We love meeting people that like what we’re doing and we’re going to go to as many as we can. It’s always fun to sign autographs and take pictures. I like it when people come with T-Shirts from our other films or they’ll come with a shirt from the set of Dead Before Dawn, a bunch of stuff like that. We enjoy meeting with all our fans. DG: It’s refreshing to hear that kind of response as well too and again from the flipside of the coin too, the pioneers that had started the whole zombie genre as well I know that John Russo and Russ Streiner were at each of the conventions as well. Did you get a chance to meet them as well? TD: You know what’s sad? Especially at FanExpo this year we were so busy and we had all of these plans of places we wanted to go and see some of the booths on our own because we’re fans of so much of the work that is there but the weekend just flew past. The FanExpo we had a really big booth this year but there seemed like there was constantly a line up around the Winnebago. I barely left the booth all weekend. I was just there. I stood on top of the Winnebago a couple of times just to get a view of the convention centre floor which was cool, but that was about it. DG: It was chaos. In certain aspects I enjoyed the one in Niagara more. I found there was more time, opportunity and room to get to network and speak with people. I found FanExpo was just chaos. But in circumstances such as this interview obviously the show wasn’t a complete loss at all. It was difficult to take your time and see everything you wanted to for sure. 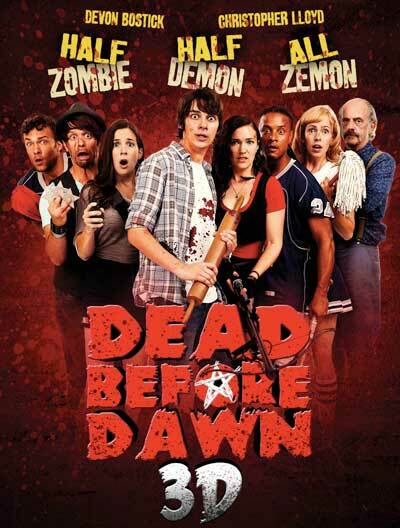 In terms of official theatrical release for Dead Before Dawn 3D when can fans expect to see the debut? TD: In Canada we have our fingers crossed for a mid-November release. 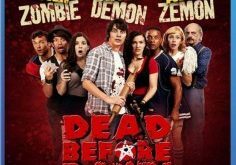 You can keep up to date on facebook Dead Before Dawn 3D or our website www.deadbeforedawn3D.com or even or twitter all of those sites will officially announce our theatrical release as soon as we hear. We’re going to know that in the very near future. DG: I was reading that apparently it’s opening in Russia in October. So it’s good to see international exposure as well. TD: Yes! We do have some international releases coming up. AM: We just received really good news during the Toronto International Film Festival that we’ve signed our U.S. deal. That’s super exciting. I think Variety and Hollywood Reporter just announced it. DG: Do you have an official release date as of yet? AM: No it’s going to be in theatres and it’s to be announced but it’s really exciting! DG: A perfect time of year too, congratulations. DG: I understand there is a pending deal with The Movie Network as well? AM: Yes we’ve signed a deal with Movie Central and The Movie Network so it will definitely be airing coast to coast after it’s been in theatres. 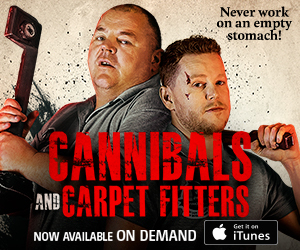 We also have a DVD and VOD window but it will definitely be on TMN, Movie Central and HBO Canada. That’s really exciting. They supported the film and we sold to them on the script so that was really exciting. DG: It is terrific, among my favorite networks for sure. So just concluding what’s on the horizon for April Mullen and Tim Doiron? AM: We’re actually in the middle of writing right now. We have an action thriller and we’re hoping to shoot that next year. We have a really great passion project that is a TV series, a comedy TV series. DG: Going to choose the Golden Horseshoe area for shooting again too? AM: We’re trying too. The action thriller can be shot fifty percent for sure in the Niagara region. We always try our best. But we do need a dessert landscape for a bit (laughs). DG: It’s been a real pleasure and thrill speaking with you April. All the best with Dead Before Dawn 3D. 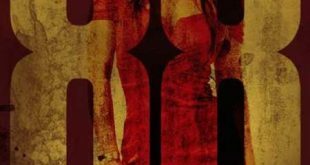 TD: Our next feature film as April had mentioned should start shooting next year. The TV comedy series should start next year as well. We’ve been really passionate about. Down the road we have a really, really great comedy feature, sort of two projects down the road but we’re keeping busy and plan to bring as much stuff to the people as we can in a short of time frame as possible. DG: Excellent and thank you, it’s been a real pleasure. We wish you all success with Dead Before Dawn.